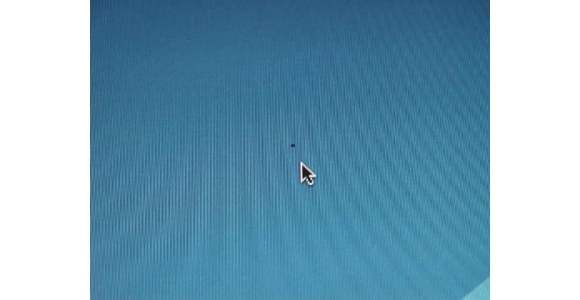 One of the most annoying problems that you can encounter whilst using a computer is a stuck or dead pixel on your monitor.In the case of the former you will be left with one pixel of your screen being a completely different colour and if you suffer from the latter the pixel will be always off, hence appearing black. I bought a TV last year that arrived with one of the pixels constantly stuck as a bright green.You would imagine that with 2,073,600 pixels having one of them a different colour wouldn’t be a problem but unfortunately it was – I found myself constantly staring at this one pixel whilst ignoring the 2,073,599 ones which were functioning perfectly.I sent it back for a replacement as fortunately the law states that if you purchase a product by mail order that you automatically get 14 days in which you can return it for any reason whatsoever, even if you simply decide that you don’t want it. Once outside this period you start to enter a grey area; many manufacturers won’t consider a stuck or dead pixel to qualify as a warranty issue unless you are suffering from a number of them. As LCD TV’s and LCD Monitors are now regular household items, this problem is likely to affect many readers at some stage.Dead pixels are irrecoverable as they are caused by a complete lack of power going to that particular section of the screen however stuck pixels are often a different matter.Many people have reported success using these methods on screens where a given pixel is permanently stuck on one particular colour although it is worth noting that they are not guaranteed cures. Software method – Download Undead Pixel 2.2 from www.freewarefiles.com and set it up to run a very small, rapidly changing window over the immediate area surrounding the stuck pixel.The application will rapidly change the colour of this section of the screen to hopefully unstick the offending dot. Pressure method – Turn off your computer monitor and grab a damp cloth which has been folded once.Take a ballpoint pen (or any other instrument with a focused but dull point) then apply pressure through the washcloth on the exact point of the stuck pixel.While still applying pressure turn the monitor back on and with any luck this method would have cured the problem.Clearly care should be taken not to apply too much pressure. Tapping method – Turn the monitor on and display a static colour image that contrasts well with the stuck pixel so that you can accurately locate it on your screen.Using the other end of the pen used in the pressure method start gently tapping where the stuck pixel is – you want to be tapping just hard enough that a small white glow can be seen under the point of contact.Gradually increase the pressure over 5-10 taps and repeat if necessary. Of course, it goes without saying that whilst you are unlikely to cause any damage to the screen using the software method that the two suggestions that involve physical contact do carry an element of risk if not performed carefully and correctly.If the pixel remains stuck and your warranty doesn’t cover a replacement then the fault may be something you may have to live whilst maintaining hope that the incredibly unlikely will occur and the pixel will eventually unstick itself.